Participants will be accommodated in double or triple rooms at the Hotel Lo Scoglio by the organization. DEADLINE FOR APPLICATIONS IS February 28th, 2014. To download the poster of the School click here. Unfortunately, Prof. Belyaev will not be able to participate. 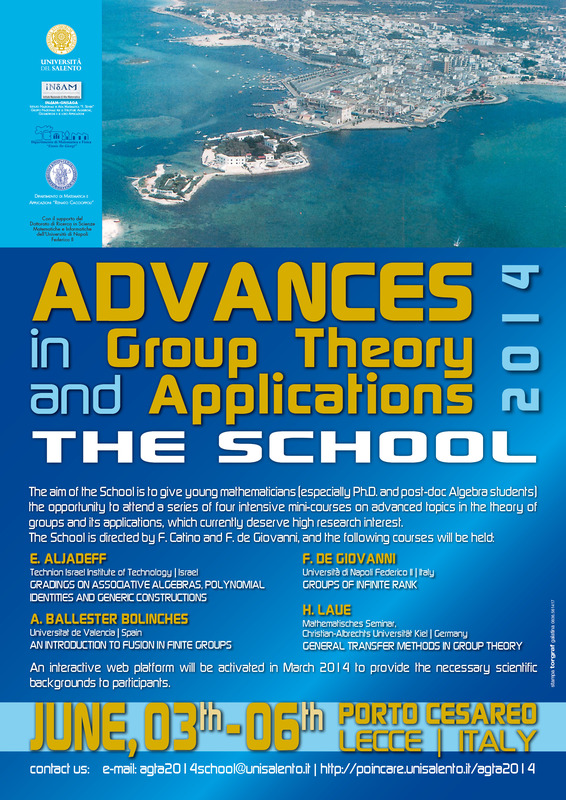 His course will be replaced by a course on "Groups of infinite rank", delivered by Prof. Francesco de Giovanni.